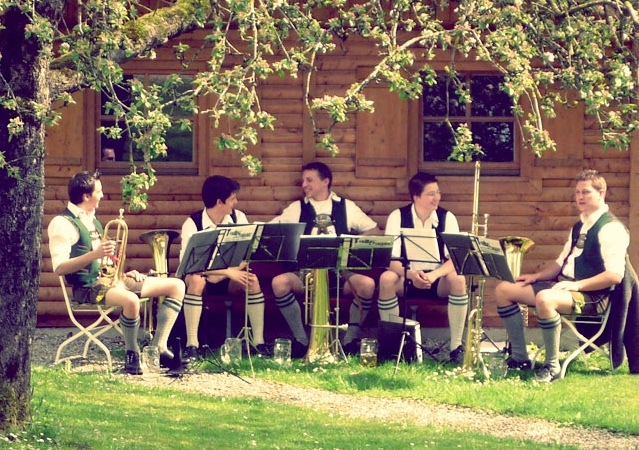 Tromposaund is a Bavarian brass-music group from Munich / Bavaria / Germany! With a repertoire ranging from traditional brass band music (marches, polkas, waltzes), as well as blues, swing, jazz, ragtime, boogie and modern pieces to surround a variety of events. From birthday parties to evening entertainment, they play versatile – flexible to suit the occasion and enjoy a variety of guests of young and old alike. Especially for corporate events, evening events and welcome parties, the music is perfectly in order to achieve a positive and relaxed mood, and create a welcoming environment. Authentic Bavarian customs, costumes and music are spread through traditional songs, funny singing performances and entertaining performances. The musicians provide unique mix of brass music and other genres. They combine traditional music with current hits to an interesting program. Recipe for success of the exceptional wind music lineup also include a good portion of humor and a high fun and entertainment factor. 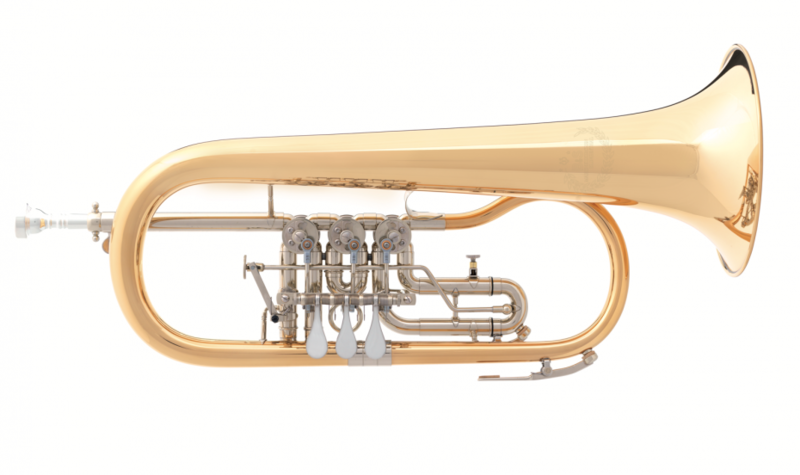 After 4 years Tromposaund can look back on many successful performances in Germany and Europe (A, CH, FR, NL). Particular highlights were, inter alia, a birthday party in Amsterdam (Holland) in 2012, a Bavarian evening in Cambrai (France) in 2013 before 2,500 guests, as well as the sold-out concerts own. Annually about 40 gigs in Germany, as well as invitations to performances at home and abroad confirm the success of the young group.